Are you getting pregnant at any cost? With any challenge in life, when an unexpected stress load hits, you must give yourself the extra support you need to feel sane. Experiencing fertility problems can be a huge and ongoing unexpected stress load. So many areas of your life demand your attention - your job, your relationship, your family, your health, your home, your finances, your friends and so on. It’s hard enough to keep up with those demands. 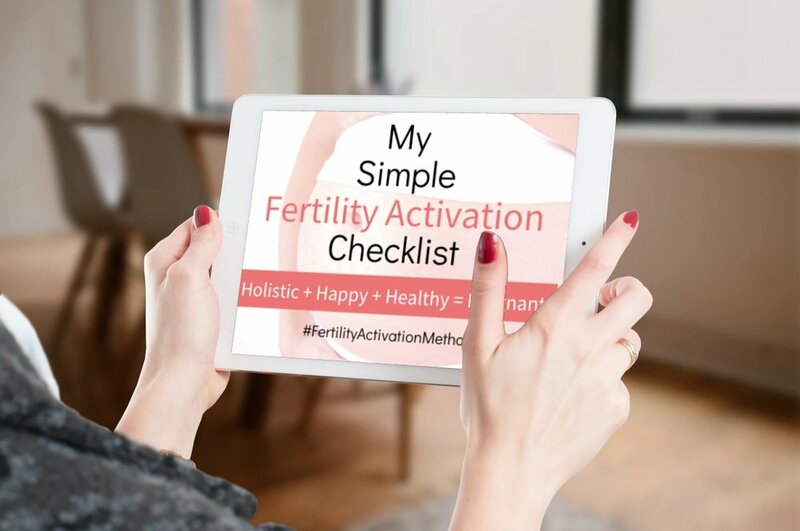 And the real kicker is that all these overwhelming demands may contribute to your fertility health problems. On top of all this, you want to have a baby and find out that it’s not going to be as easy as you thought it was, causing you more stress. You feel like your dreams have been shot down. You’re used to having control over the outcome. You’ve always be able to work hard and achieve your goals. But this goal - having a baby - feels totally out of your control. You’ve worked so hard to find the right partner and secure the right job so that you could grow your family. It feels as if your entire identity and life’s purpose is at stake. Before you know it, you find yourself doing whatever it takes. Achieving pregnancy has become the be all end all. And in the meantime, you’ve grown depressed and anxious over the whole thing. Your feelings are completely normal. Almost every woman I’ve met in this situation has experienced this exact same trajectory of emotions. It’s important to step back and really assess what’s most important. Your dreams of growing your family are absolutely important. They’re sacred. So is the quality of your life while you’re trying. At what cost are you willing to get pregnant? At the cost of your health? Your happiness? Your relationship? Your finances? Your mental, spiritual and emotional wellbeing? Let’s make sure you’re well being stays a priority today and everyday. No matter what. ‘Cause in the end, when you reach your goal, you’re still stuck with you. Do you want a worn out tattered up version of you? Or a vibrant joyful fulfilled version of you? Your baby dreams are sacred. While you take steps to actualize them, cherish yourself, your well being and all your wonderful gifts in the here and now. That means tuning into yourself. Really paying attention. Being honest with yourself. Recognizing when you need support and what kind of support. And learning to honor what you need in every moment. What Does Your Mom and Dad have to Do with Your Fertility? Has Clomid or Birth Control Killed Your Fertility?